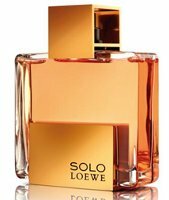 Loewe has launched Solo Loewe Absoluto, a new fragrance for men. Solo Loewe Absoluto is a flanker to 2004's Solo Loewe, and was inspired by the Sun King, Louis XIV of France. The notes include lavender, neroli, orchid, sandalwood, frankincense, bergamot, tangerine, wormwood, basil, tonka bean, amber and musk. Because Louis XIV was so concerned about balancing his work life and his family life. Sigh, the difficulties of the French Aristocracy. No no… that’s work LIKE and family LIVE. The scent sounds rather nice to me. But with the name I thought the inspiration might be more Han Solo. Ha! Get it. Yeah, I know, lame! Why doesn’t some firm just make a fragrance called “Flanker” and it will be the all purpose fragrance to accompany any fragrance? Perhaps the Burning Lab people will do Flanker to L’Anonyme! I just love all those typos That ad copy is hilarious. But, I do love that bottle, so sleek and modern. GORGEOUS BOTTLE! Scent sounds Gorge too! looking like a MUST-BY for me… right in my Fragrance Comfort Niche! Loved Solo so looking forward to smelling this one – if I can find it anywhere here in Sydney, that is. I am hopeful for this one, the notes sound interesting for a modern masculine. At least it’s not Chanel Bleu…..